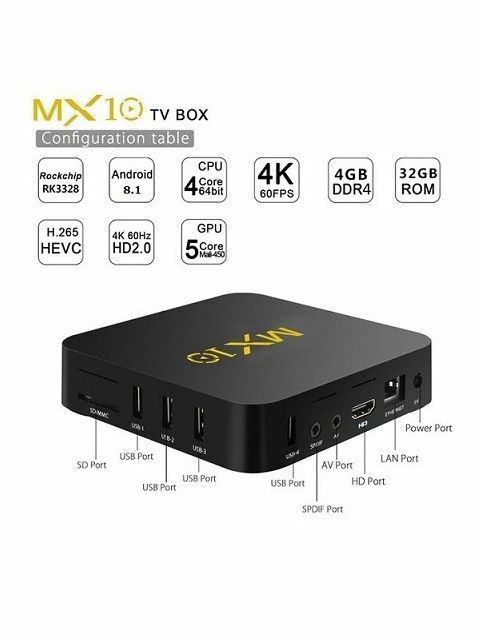 Wiretek Android TV Box 4K MX10 is the best choice for you to have the smooth experience to watch the video or play games, for it is equipped with RK3328 quad-core ARM Cortex-A53 CPU. 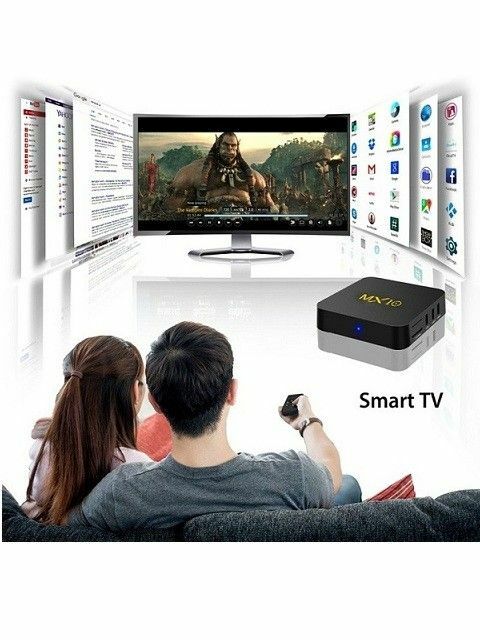 With 4GB DDR3 RAM and 32GB eMMC ROM, you can download whatever you like, keep them and enjoy them. 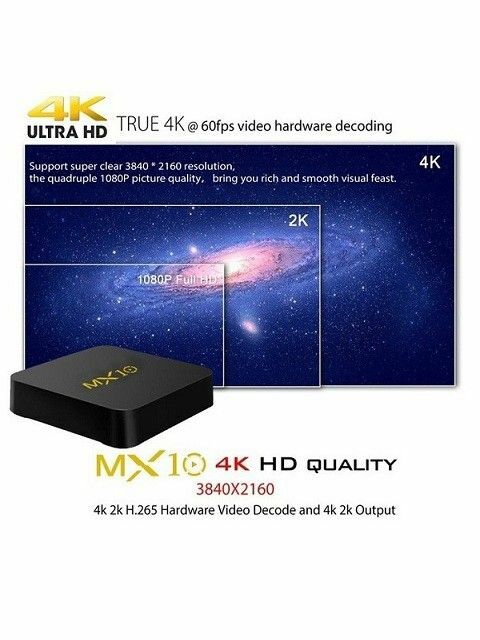 4K x 2K resolution enables you to feel the most high-definition video! Support 2.4G WiFi. 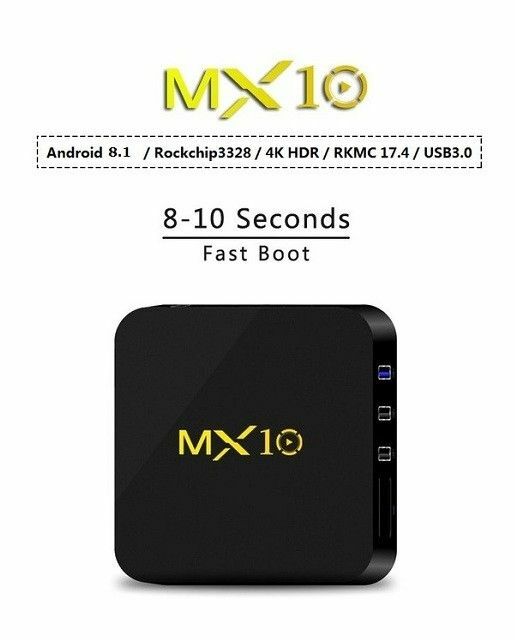 MX10 runs on the latest Android 8.1 Nougat System which is perfect in productivity, stability and performance, along with several of features and optimizations, delivering an improved user experience. 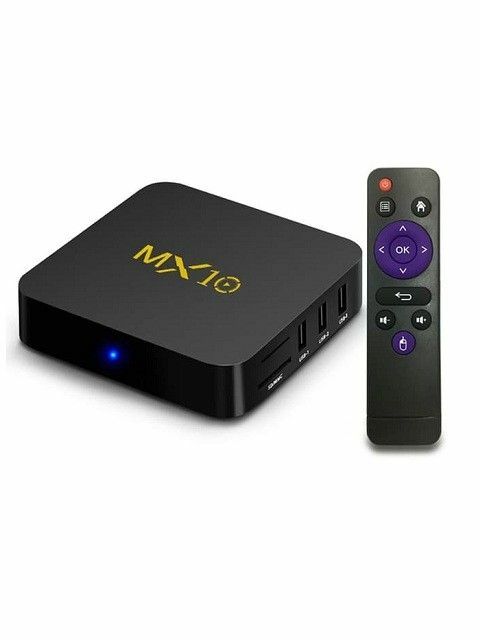 4GB DDR3, 32GB eMMC Flash and Max; expandable 128GB SD card reader provides more space for richer using experience and able to run files and games quickly. 2.4G WiFi, 10/ 100M LAN makes home entertainment easier.